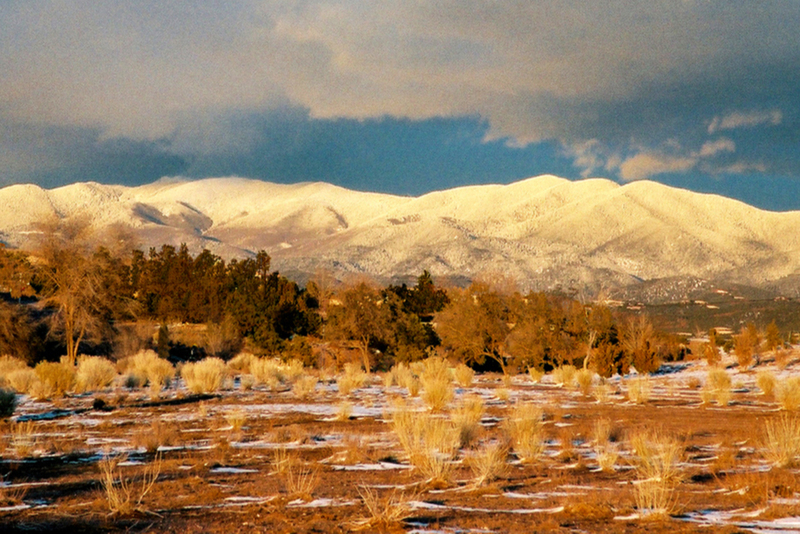 The snow may soon be falling, but the livelihood of Santa Fe never ceases to exist. To see this community in the wintertime is nothing short of a treat, one that will leave you coming back to Santa Fe again and again. The downtown life is vibrant in all aspects, from cuisine to museums and everything in between, and the snow-covered mountains come alive. The traditional heart of our Spanish-settled community is none other than the Plaza. On November 29th, the day after Thanksgiving, the tree lighting ceremony will take place at 6pm, a magical event to welcome in the holiday season. The historic streets of downtown are a picturesque walk during the daytime where people are found browsing the unique shops and cafés, catching up with friends, making new ones and purchasing gifts for loved ones. When night falls, the tree-lined streets are glistening with twinkling lights, flavorful scents are wafting out the doors of world-renowned restaurants, and the sound of laughter fills the air. Get lost skiing in the mountains surrounding Santa Fe. Shop the SWAIA Winter Indian Market November 30th to December 1st. Attend one of the exquisite performances by Aspen Santa Fe Ballet. On December 13th, take part in a regal evening of “Christmas at the Palace,” a party honoring the holiday traditions of the Pueblo people. Spend a day browsing the art galleries that dot the streets of this heartwarming city. 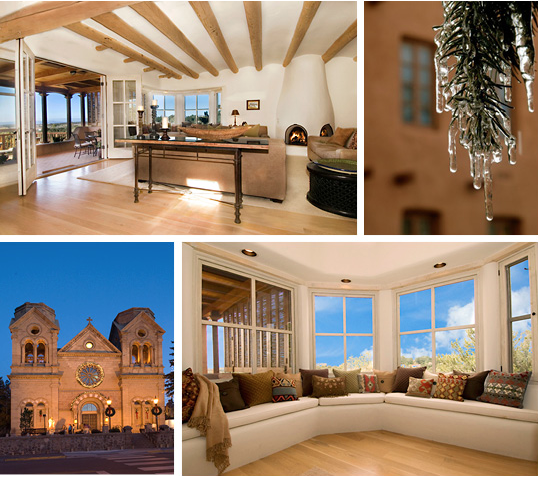 With 300 days of sunshine a year, Santa Fe is a place to relax, unwind, dive into a diverse culture, indulge in award-winning foods, and soak in the beauty of nature. At Adobe Destinations, we are very much looking forward to finding you the ideal vacation rental for this incredible time of year. Join us as we come together to celebrate this joyous season in Santa Fe. *If you mention the word “Posada” when making your winter reservation, we’ll provide you with a box of Senor Murphy Chocolates! 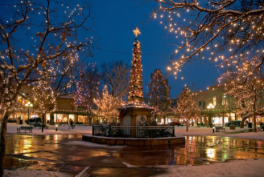 This entry was posted in Uncategorized and tagged Aspen Santa Fe Ballet, Christmas Vacation, New Mexico, Santa Fe, Santa Fe Vacation, Santa Fe Vacation Rental, Senor Murphy Chocolates, ski, ski santa fe, Southwest, Southwest Vacation, SWAIA Winter Indian Market, Vacation Rental, Winter Vacation. Bookmark the permalink.